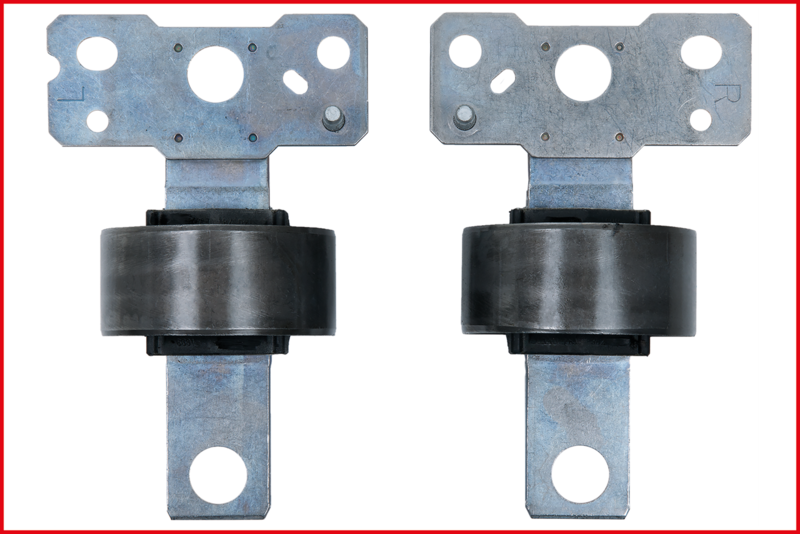 With some Ford and Volvo vehicles the silent bearings on the rear suspension are very susceptible. They fail when these cars are driven a lot on uneven roads or are frequently en route with heavy loads. Changing this bearing is very time-consuming without special tools. 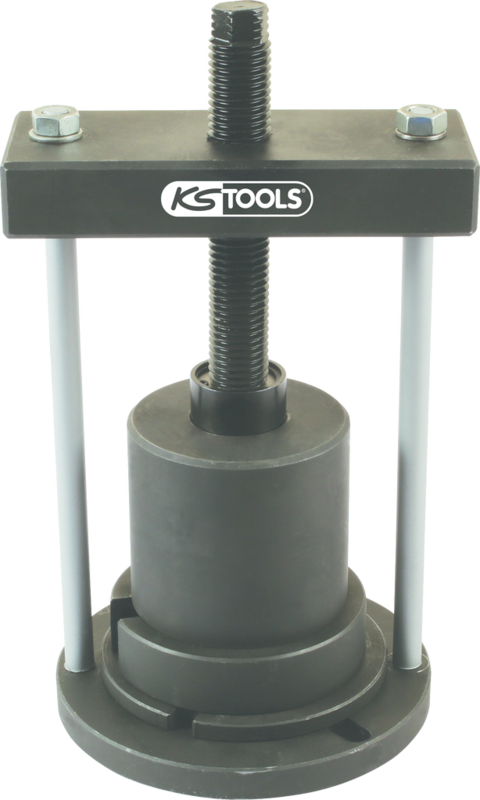 Tool specialist KS Tools has a solution for a time and moneysaving repair in their product range. This makes it possible to change the silent bearing without having to replace the link arm and disconnect the brake line. Subsequent bleeding of the brakes is thereby dispensed with saving additional time. The KS Tools product number for this silent bearing tool set for Ford is 700.2210. There are a lot of vehicles with the EUCD platform on our roads. This concerns the Ford models Galaxy, Mondeo, S-Max and the Volvo S60 II, S80 II, XC70 II, V60 and V70 III. And above all, it‘s the estates which people like to load up a lot. That means stress for the rear wheel suspension and brings the silent bearing to the edge of its service life more quickly. The driver notices that the car feels spongy and shifts slightly when crossing obstacles such as railway lines. If a silent bearing is cracked, driving safety is considerably compromised - the only thing for it is to replace the part. In fact the repair in this case using standard universal solutions such as a push and pull sleeve system just can‘t be done. The reason for this is the directly integrated fixing plate whereby the centre hole in these silent bearings is missing. The new tool from KS Tools is suitable for changing this particular silent bearing on the rear axle trailing link and it functions for the original bearing as well as the aftermarket alternatives. The work can be carried out directly on the vehicle in a short space of time. The mechanic need first only remove the shock absorber fixing screw, the transverse link and the screwed joint in the defective silent bearing. Then suspend the brake line and brake cable and the tool can already be put to use. Disconnection of the brake line and with it the subsequent bleeding is not necessary here. With this method, the old, still serviceable link arm can be used again. The gratifying thing about this is that this repair has even proven itself to justify the current market value of older cars with higher odometer readings. The tool can be used without further accessory parts. 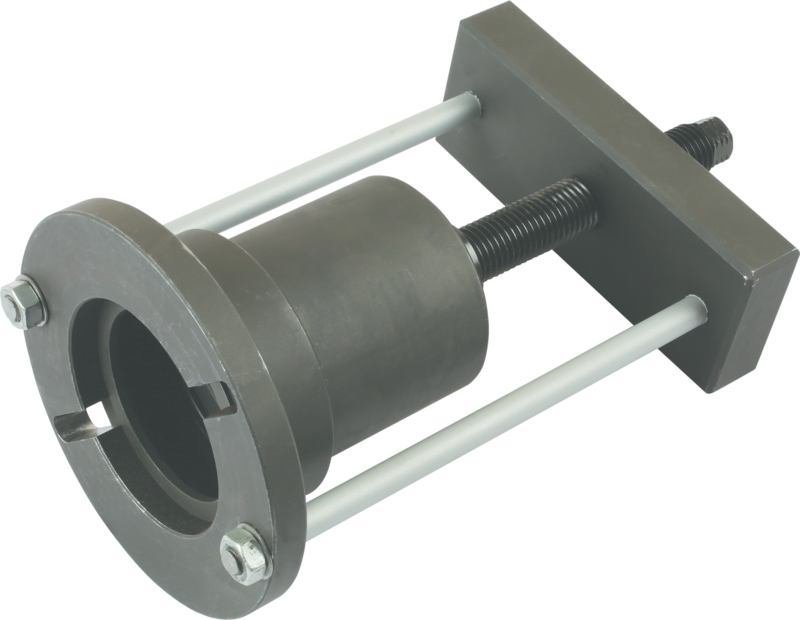 Under the brand name Lemförder, ZF Services have available rear axle rubber bushes among others for all vehicles with the EUCD platform. These can be obtained under the following part numbers: 3554401 (left) / 3554301 (right) / 3554501 (left) etc.